Aromatherapy raindrop technique with essential oils is a powerful therapy using essential oils that was developed by Dr. Gary Young in the 1980s. It combines several holistic modalities aimed at bringing balance and alignment to the body in a non-invasive manner. It also stimulates all the body systems on a physical and emotional level. This technique involves applying therapeutic grade essential oils to the spine, neck and feet. The session lasts about 45 minutes, however the benefits may last up to a week or more. This therapy uses a sequence of essential oils that are immune enhancing; supporting the body’s natural defenses, as well as the circulatory, respiratory, endocrine, digestive, nervous, and other body systems. These oils, which are high in antioxidants, are also mood elevating and antiseptic, creating an unfavorable environment for harmful viruses and bacteria that can hibernate in the body. 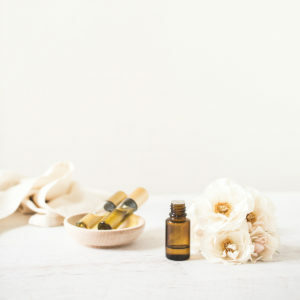 Aromatherapy and essential oils are known to boost stamina and energy, help you relax, help manage stress and frustration and promote overall health, vitality, and longevity. The essential oils are dispensed in little drops from a height of about six inches above the back, which is where Raindrop Technique gets its name. Applying the oils to the spine allows access right into the central nervous system where they yield a global effect upon the whole body. They are also applied to the feet. The whole process takes about an hour and may continue to work in the body for up to one week following a session, with possible realignment and bodily adjustment taking place during this time. This aromatherapy technique is not a cure-all or a magic bullet. A healthy balanced body is the result of a well-rounded program of exercise and proper diet. Health is everything we do, say, hear, see, and eat. The Aromatherapy Raindrop Detoxification Application Technique is only one tool to help restore balance in the body that will result in good health.